Ever been curious what it’s like to be a police officer? Here’s your chance! The Springfield Police Department’s ride-along program gives eligible citizens a close-up look at policing. It allows one to ride along with a patrol officer as he or she performs their normal patrol duties. For anyone who believes that they would like a career in law enforcement, this is a great opportunity to see first-hand what the job entails. 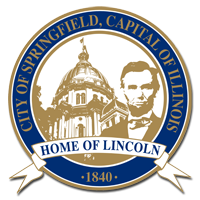 Participants in the Springfield Police Department’s Citizen Ride-Along Program must be 18 years of age or older. To participate, please complete the Citizen Ride-Along Request form and return it in person or mail to the Springfield Police Department located at 800 E. Monroe, Springfield, IL 62701 Attn: Deputy Chief of Field Operations. The police academy for citizens is a revolutionary concept in law enforcement and police- community relations. A "police academy" course of instruction has been established for citizens consisting of ten weeks of orientation and instruction. Students will be actively involved in many interesting and unique activities, such as touring police facilities; using police equipment; firing the department service weapons; canine demonstrations; and other community law enforcement related activities. The course is free of charge, and each applicant will fill out an application and agree to undergo a cursory background check prior to approval and admission.